Digitalization is gaining ground everywhere these days, and body shops are no exception. 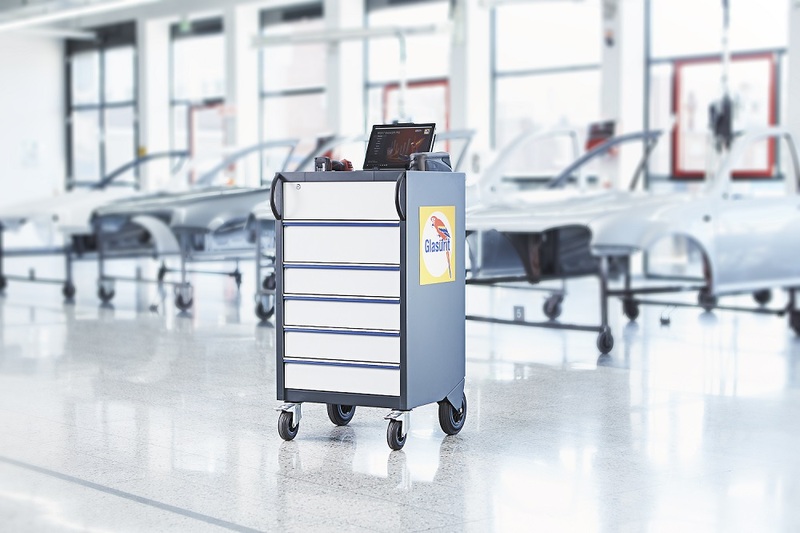 To help body shops benefit from streamlined processes in their everyday routines, Glasurit is offering high-performance solutions, ranging from digital color matching to the connected body shop. The new Color Tool Center is a key element. The central unit was developed to enable complete processing of calculation and color matching. This saves trips in the body shop – along with money. See for yourself! The high-quality trolley is the mobile one-stop solution for performing color matching, carrying out comparisons and creating job orders. Everything you need is at your fingertips, handy at every working step and neatly arranged. It also includes a high-performance Windows tablet for all functions of the ProFit Manager. Additional components, such as the central power supply for all devices, the large wheels and the low center of gravity make handling everyday jobs so much easier. With savings of 10 minutes per order, you can easily save an hour or more every day. In the course of a year, this allows you to expand your capacity, with lucrative benefits.